The cove at Blackpool Sands is straight out of an Enid Blyton book. It curves round in a perfect crescent the waves lapping the shingle shore with beautiful scenery all around. This area of Devon is one unexplored by many, maybe that’s why it’s so quiet and untouched. 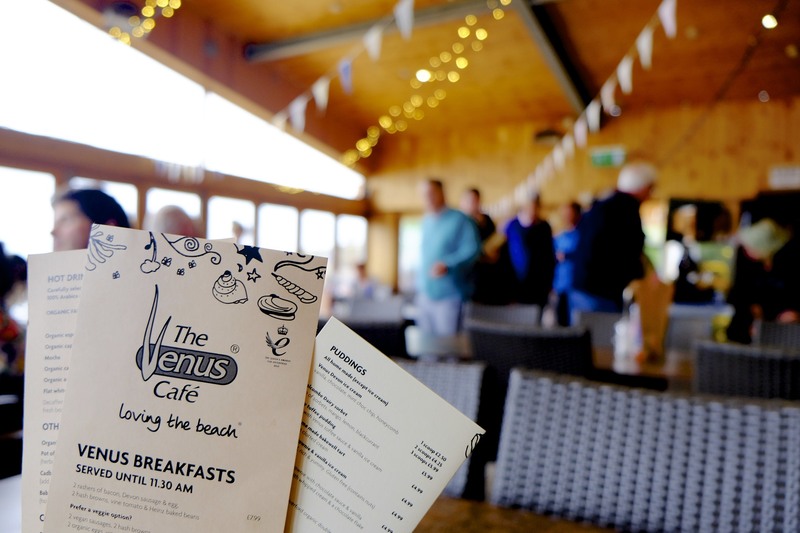 The Venus Cafe is reminiscent of a ski chalet rather incongruously plonked on the beach. It is a large wooden structure with a spacious interior clad in pine. 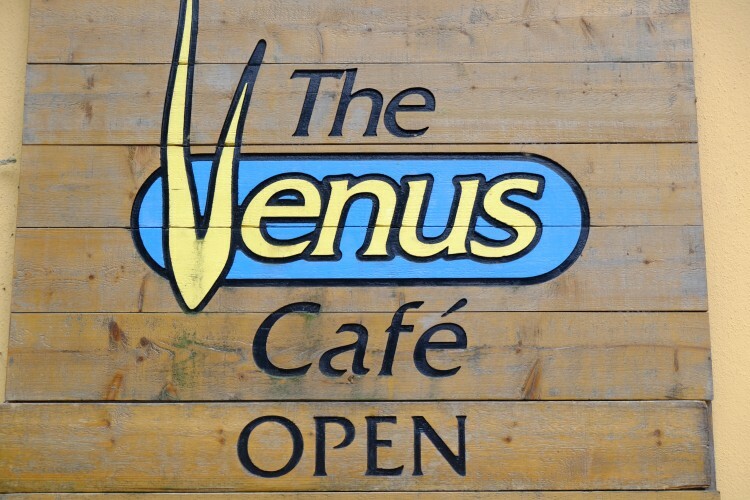 But the similarity ends there as the Venus Cafe has a jaunty feel to it. 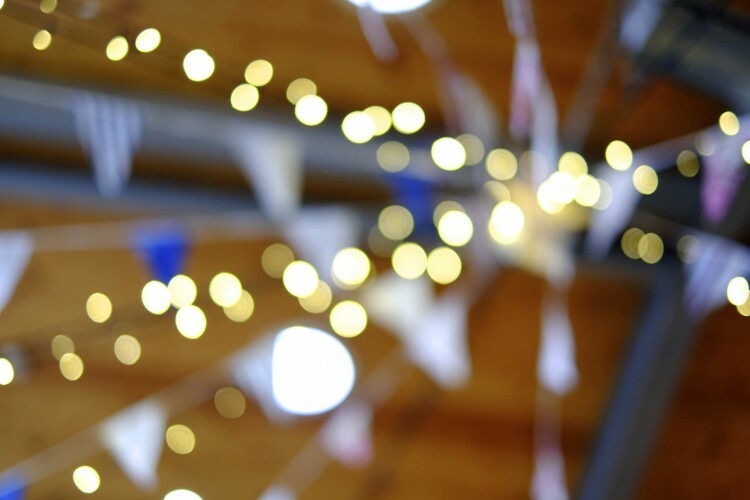 Christmas lights intertwine with bunting soaring up to the apex of the ceiling. 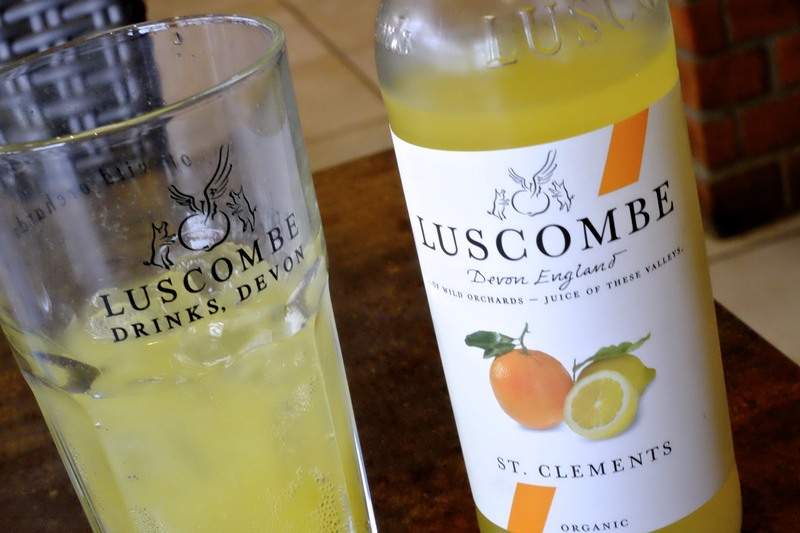 The staff are happy and friendly in that West Country way that proves the quality of life in this little part of the world is rich and comfortable. Lottie, who served my meal, is the granddaughter of the couple who originally started it all off 20 years ago. 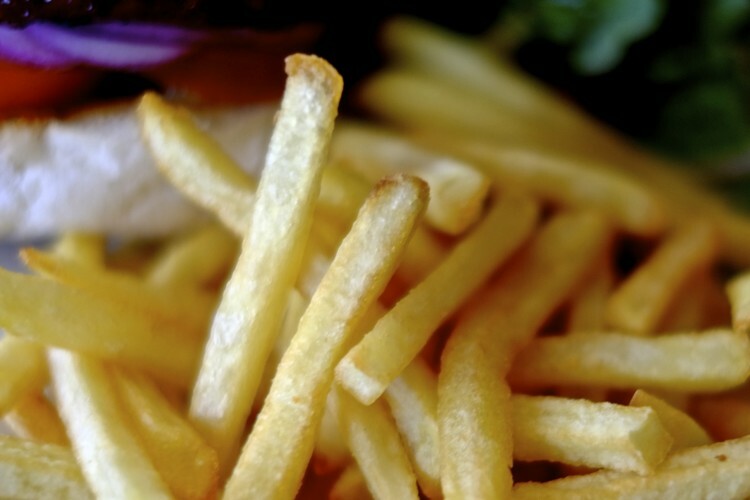 It added a nice piece of continuity to a clearly much-loved eatery. It was wet and squally the day I visited yet people kept on coming to have lunch. Always a good sign to see folk persevere. I looked over the menu, which does seem to make it a cafe … but the food is a bit of a surprise. 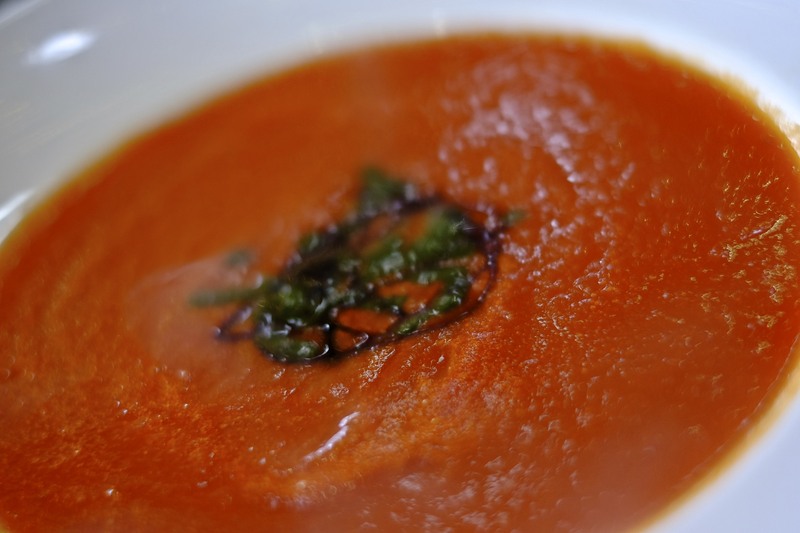 I had a splendid tomato soup with basil oil and bread. This was freshly made and tasted of summer. It was punchy and vibrant with the oil just giving it that lift. A good start from the kitchen that is on show to the diners. There is one wall made of glass to watch the beach and sea through. It is quite mesmerising especially if the weather is turbulent. I was beginning to see why this place is so popular with the locals. There were a few dishes that caught my eye but I elected to have a burger as I’d seen one pass by and it looked fantastic. It tasted fantastic too. Hand made from locally sourced beef, full of flavour and had a spicy sauce that complemented it perfectly, a bit like chimichurri with a kick. It came with fries and a small salad but neither was necessary as the burger is the star of this plate. They offer a veggie version but I doubt that it would come close in terms of flavour and texture. 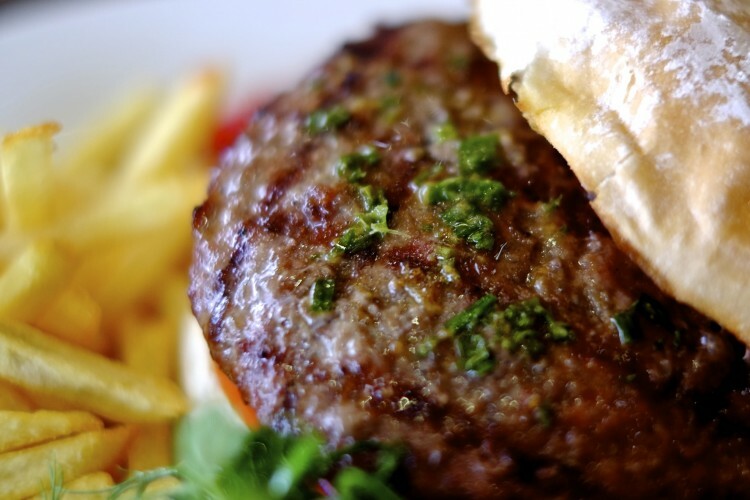 This is a burger worth travelling some distance for. I had to drive back to London after the meal and was not looking forward to the journey so thought I’d bolster my resolve with a portion of kitchen made Bakewell Tart. Served warm with a generous dollop of Devon clotted cream it positively oozed quality. 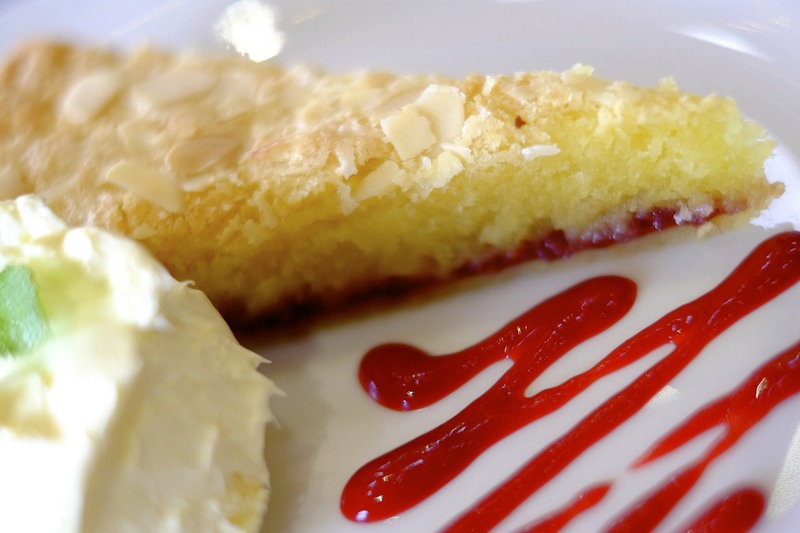 This was one of the best Bakewell Tarts I have ever tasted fresh and soft with a lovely gentle almond vibe. Superb. As Lottie was removing my plate I happened to mention that I was about to start off back to London. The rain had started and the clouds were closing in. Then quick as a flash she said “oh dear, would you like some water for the journey?” This simple caring act of kindness resonated with me for the rest of my trip back home. How thoughtful and kind it was of her to be concerned. She had never met me before. But in a way this sums up The Venus Cafe they care about the little details and want to help you enjoy your experience with them. A brilliant cafe that deserves to be packed on a wind swept Sunday in October.